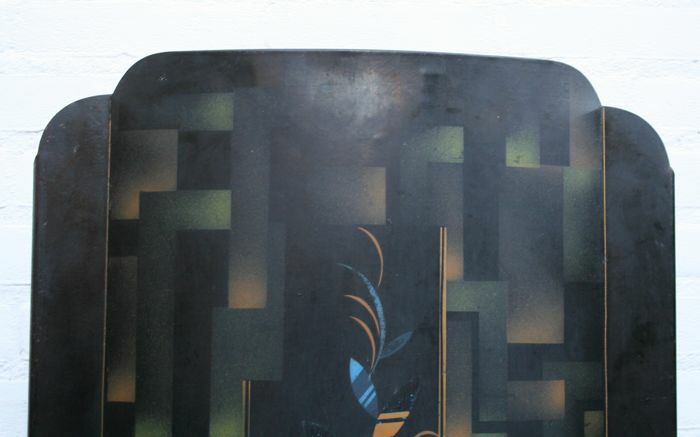 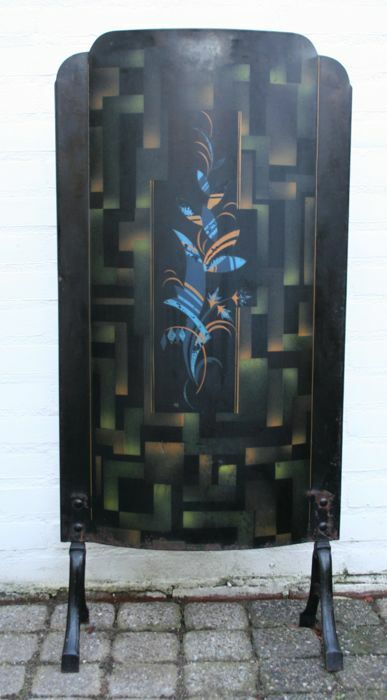 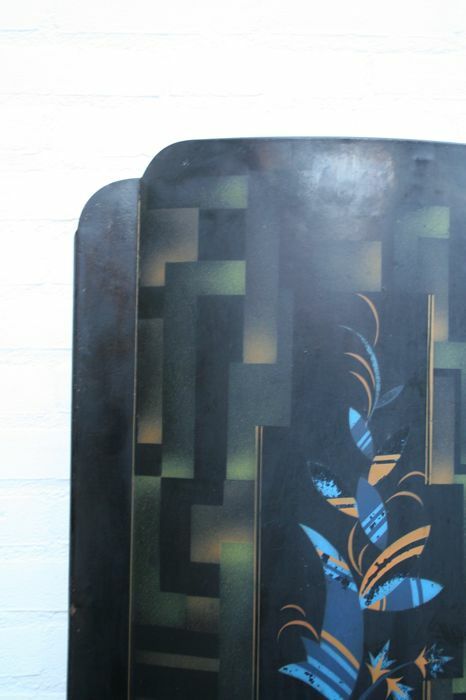 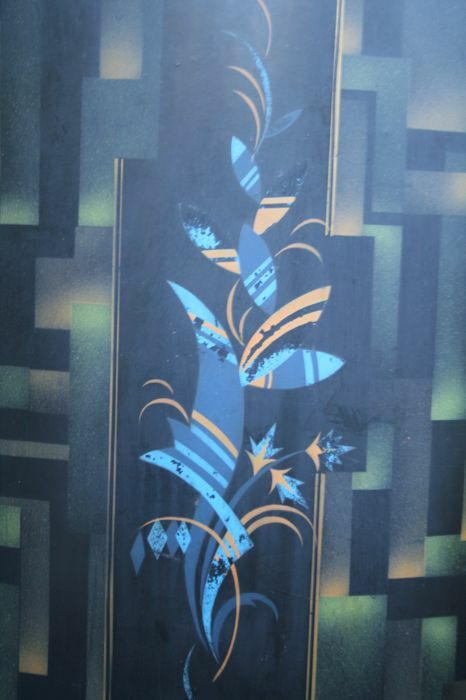 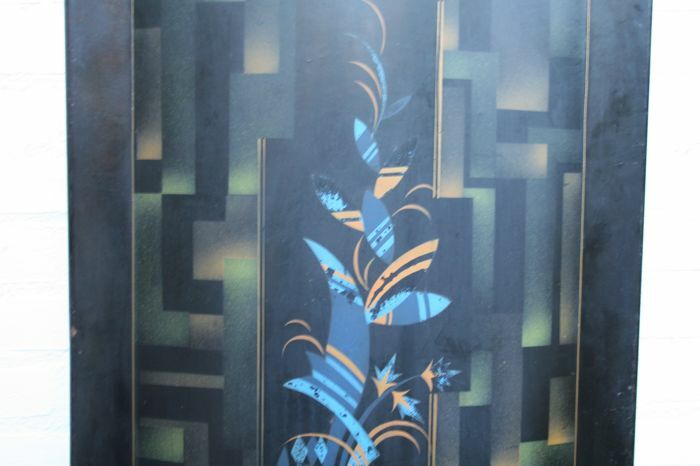 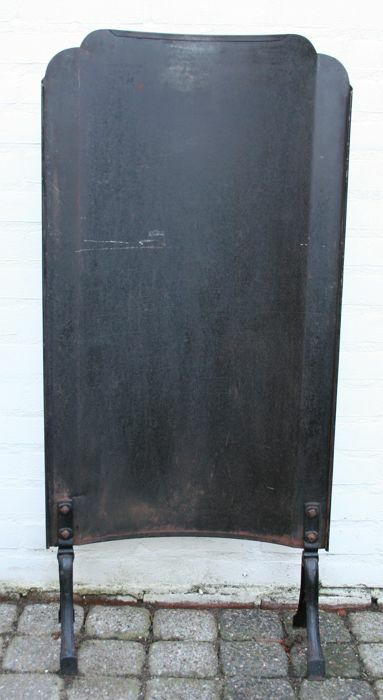 Very fine original Art-Deco fireplace screen from the years 1910-1920. 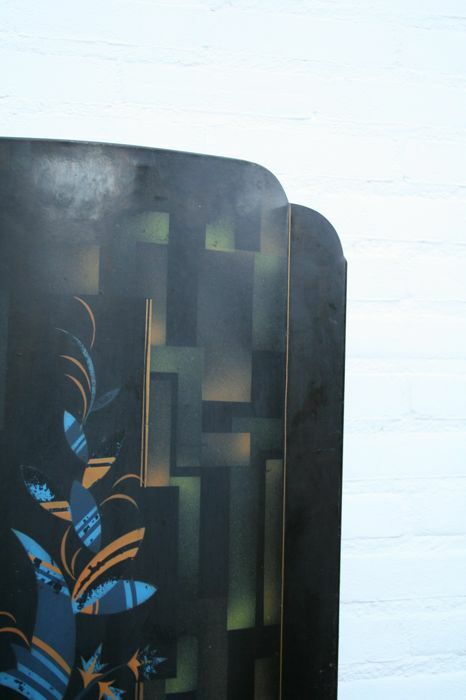 The screen has very nice colours which have passed the test of time reasonably well. 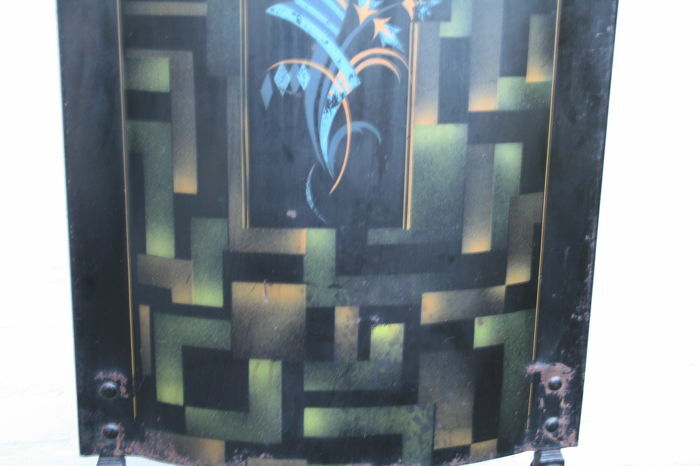 Of course, the screen shows some damage and rust, this is entirely expected considering the age of the screen and can be refurbished if desired (sold as found). 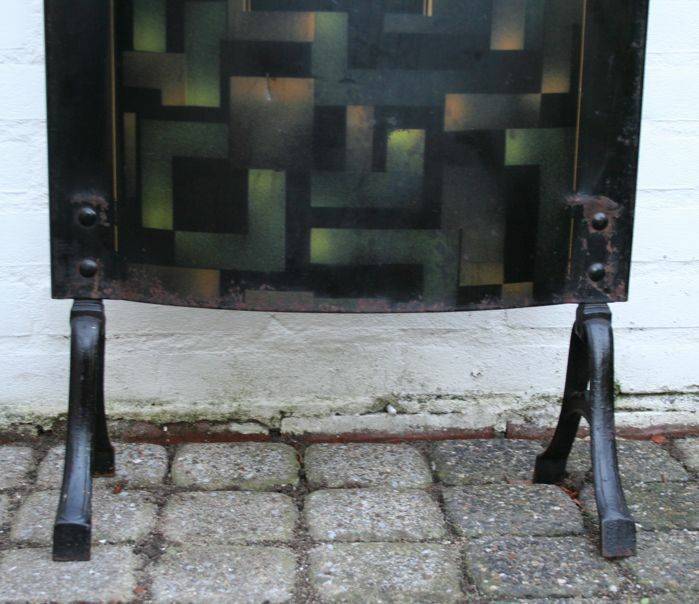 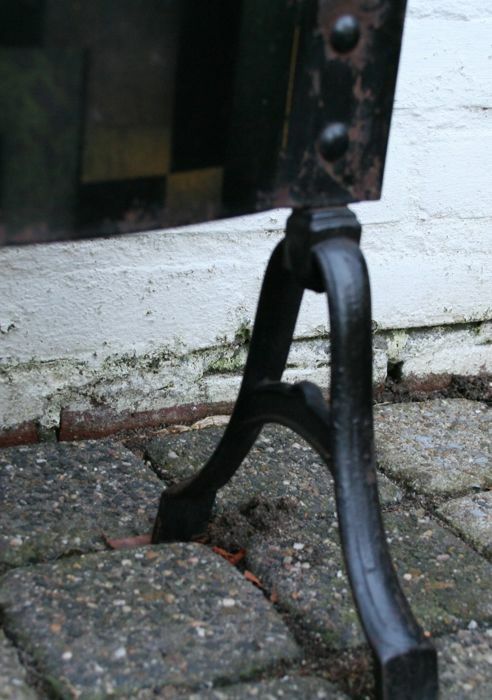 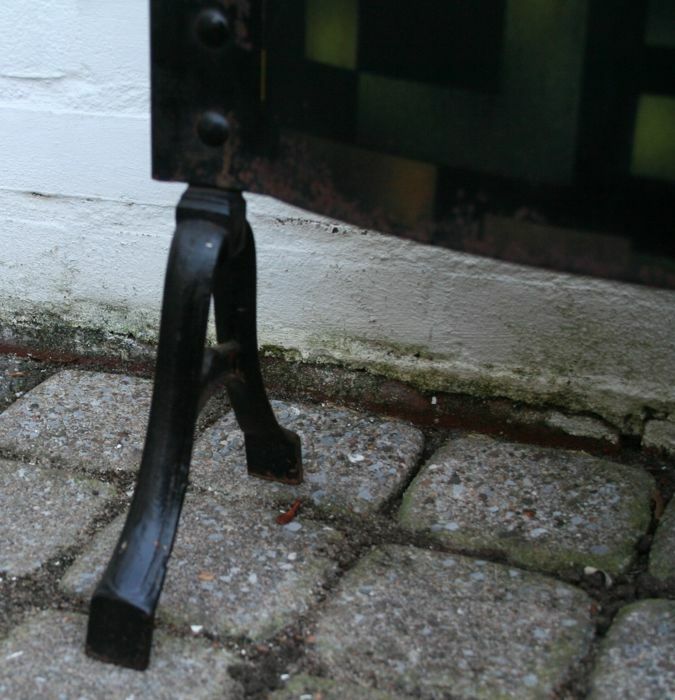 The screen stands on two beautiful, cast iron legs.